Over the past 30 – 40 years, a large body of studies of scenic quality has been developed. An overview of 84 Australian studies is presented, the themes of Australian studies are discussed and then described in two streams: physical studies and preference studies. Physical studies are those which involve the description, analysis and sometimes quantification of the physical characteristics of the landscape without reference to human perception. In contrast, preference studies involve the community in assessing scenes and rating their scenic quality. The studies of landscape quality undertaken in Australia over the 40 year period from 1968 to 2008 have been identified and summarized. A matrix of the studies is available here. A total of 84 studies have been collated. Although strenuous efforts were made to locate all relevant studies, it is inevitable that some may have been missed. The author would be interested in gaining access to any other studies not identified here. Priskin, J., 2001. Assessment of natural resources for nature-based tourism: the case of Central Coast Region of Western Australia. Tourism Management, 22, 637 – 648. Dobbie, M.F. & R. Green, 2013. Public perceptions of freshwater wetlands in Victoria, Australia. Landscape & Urban Planning, 110, 143 – 154. Dobbie, M.F., 2013. Public aesthetic preferences to inform sustainable wetland management in Victoria, Australia. Landscape & Urban Planning, 120, 178 – 189. Lothian, A., 2013. Generic Landscape Survey. Scenic Solutions. Lothian, A., 2015. Mt Lofty Ranges Landscape Quality Project. Scenic Solutions. These have been included in the matrix of studies but not in the following summary. Table 1 provides an overall summary of the data set by year and State. Most studies were located in NSW and Victoria and, to a lesser extent, Queensland and South Australia. There was a concentration of studies in the late 1970s – early 1980s and again around the turn of the millennium. The sparseness of national studies is striking. Figure 1 summarizes the number of studies per year and shows that the number of studies has increased, albeit varying widely from year to year. Table 2 indicates the concentration of studies in certain States. Victoria accounted for 36%, New South Wales 24%, South Australia 19%, and Queensland 13%. Figure 2 indicates the year of the studies in the four main States, Victoria, NSW, South Australia and Queensland. While studies occurred throughout the 40-year period in Victoria and NSW, in contrast, no studies occurred in Queensland before 1992 while in South Australia no studies occurred in the 1990s. The types of studies, physical, by preferences, a combination of both, or experiential are summarized by Table 3 and show that 55% were physical, only 29% were preference based and a further 6% combined physical and preference methods. The 9 studies associated with the Regional Forests Agreement were experiential (11%). Figure 3 shows the type of study by year from 1968 to 2008 and indicates that physical studies dominated in the first half of the period, up to 1990, but since then, preference studies have become more common. Nearly half the studies were for environmental management purposes while academic research accounted for nearly a further quarter (Table 4). A hierarchy of heritage lists exists in Australia (Table 5). In addition, there are also indigenous site registers, historic shipwrecks register and specialized lists, e.g. engineering heritage sites. Criterion 7 covers visual aesthetics and contains two alternatives: to contain (1) superlative natural phenomena or (2) areas of exceptional natural beauty and aesthetic importance (emphasis added). The 14 World Heritage listed sites in Australia (excluding the external territories of Lord Howe Island, Macquarie, Heard and McDonald Islands all of which are listed) cover ten natural areas and four cultural sites (Royal Exhibition Building, Sydney Opera House, Fossil Sites at Riversleigh/Naracoorte, and Willandra Lakes archaeological site). The ten natural sites are summarized by Table 6. The aesthetic criterion (#7) was used in all of these sites except, surprisingly, the Blue Mountains (the nomination focused on its botanical significance) and the Gondwana Rainforests, the rainforests of northern NSW and southern Queensland which is also an area of considerable aesthetic significance. The use of superlative adjectives appears to be pre-requisite for World Heritage nominations! Apart from the Queensland Wet Tropics and Kakadu sites where landscape quality assessments were conducted (Prineas & Allen, 1992, Harding et al, 1987), such descriptors were applied to the remaining eight sites without any formal assessment of their aesthetic values. The nominations were essentially in descriptive terms. Each provided further descriptions of particular landscapes in the sites. Aesthetic values are included on the National Heritage List, the Commonwealth Heritage List and the Register of the National Estate. The National Estate Register closed in 2007 and ceased to be a statutory list. It now comprises an archive of information about the places that were registered. The criteria for aesthetic values were defined under the Register of the National Estate and were subsequently used by both the National Heritage List and the Commonwealth Heritage List. Those places, being components of the natural environment of Australia, or the cultural environment of Australia, that have aesthetic, historic, scientific or social significance or other special value for future generations as well as for the present community. Criterion E: Its importance in exhibiting particular aesthetic characteristics valued by a community or cultural group. Sub-criterion E1: Importance for a community for aesthetic characteristics held in high esteem or otherwise valued by the community. adj. having a sense of the beautiful, characterised by a love of beauty (from legal advice 2/7/04) Macquarie Dictionary 3rd Ed 2001 adj. 1. relating to the sense of the beautiful or the science of aesthetics. 2. having a sense of the beautiful; characterised by a love of beauty. Macquarie Dictionary 4th Ed 2005 beauty. In notes to the definition, it states that: ‘Aesthetic’ does not relate to the science or philosophy of aesthetics, which falls outside of the statutory test. It also states that the: aesthetic response may be evoked by the environment through factors such as visual or non-visual elements – including emotional responses, sense of place, sound, and smell. Communities can be small or large including the entire Australian community. A place may be considered for its aesthetic value from outside or from across it and art, poetry, music and other artistic works that were inspired by the place can provide evidence of its aesthetic value. The following data on places listed in each of the Lists was at July, 2017. The National Heritage List covered 119 listed places judged of national significance including many of archaeological, historic, biological or geological importance. Table 7 lists the areas which included Criterion E in their designation on the List. There are however some striking omissions in the use of Criterion E (Table 8), e.g. Blue Mountains, Gondwanda Rainforests. There has been no comprehensive national assessment of aesthetic values to provide an adequate basis for registration of nationally significant areas. In order to establish a sound basis for national heritage assessments the Commonwealth Government is adopting a thematic approach for heritage assessments rather than a values (criterion) based approach (Juliet Ramsay, AHC, pers. comm). The Commonwealth Heritage List includes Criterion E covering aesthetic values. The list contains covers 398 listed heritage places covering many early houses, public buildings such as post offices and railway stations, as well as structures (bridges, docks) and lighthouses. There are 120 places under Criterion E but nearly all comprise buildings and structures. Table 9 shows areas designated under Criterion E on the Commonwealth Heritage List. The Register of the National Estate was established in 1976 and attracted nominations from across Australia, particularly from groups and organizations concerned to protect threatened areas and features. Many places were nominated to protect them during controversy. Many places recorded in the Register of the National Estate have a component of aesthetic value. Places that have this value alone, however, are not well represented in the Register due to an absence of well-substantiated assessment methods that are acceptable to the Australian Heritage Commission. Juliet Ramsay, Australian Heritage Commission, 1994. Although the National Estate Register closed in 2007, it is useful to examine its contents. The Register contains over 13,000 places, however a search in 2017 found over 21,000 places included, some of which were shown to have been deleted. These comprised 1249 indigenous sites, 16,099 historic sites, and 3,960 natural sites. A search listed 1092 entries against Criterion E (aesthetic values). By far the majority of these were buildings: churches, lighthouses, railways stations, jails, courthouses, residences, memorials and schools. Only 86 were areas of aesthetic value. Their distribution among the States and Territories is summarized in Table 10. The list of registered areas comprises a random selection of sites across Australia, certainly not representative or comprehensive in respect of aesthetic values, and indicates a deficiency in adequately representing Australia’s aesthetic heritage. The Australian Heritage Commission considered that few listings on the Register met high thresholds for national listing but this is at odds with the inclusion of some on the National Heritage List (e.g. Tasmanian wilderness) or World Heritage List (e.g. Tasmanian wilderness). Listing appears a haphazard affair. The National Trust was instrumental in initiating many of the studies associated with the Register of the National Estate. In the early 1970s, the Trust became interested in identifying scenically attractive areas and in 1972 the Victorian Branch commenced a classified list and a recorded list, the former being natural and man-made parts of the physical environment essential to the heritage of Australia for which “it would be prepared to fight hard” (National Estate Committee, 1974). Recorded parts were those whose preservation was encouraged. Outstanding aesthetic, scientific or cultural values were the criteria by which the Trust classified landscapes. By 1975, the Trust had listed 23 Classified and 26 Recorded landscapes. In 1975 the Australian Council of National Trusts decided that all its State branches should adopt the classified and recorded categories of landscapes. With the establishment in 1976 of the Australian Heritage Commission, the Register of the National Estate provided a means for formal national recognition of significant landscapes. During the latter half of the 1970s, State branches of the National Trust submitted areas of aesthetic value for inclusion on the Register. The Australian Heritage Commission however deferred consideration of them pending the determination of a method for classifying landscapes. In 1979 the Commission engaged Professor Julius Gy Fabos from the United States to review the state of the art of landscape assessment, to examine the studies undertaken and to provide directions for future landscape assessment. Fabos worked with Anne McGregor of the University of Melbourne. Fabos and McGregor reviewed 40 studies including 24 from Australia. “All nominations by the National Trust we reviewed have apparently been assessed on an incremental basis, site by site, without analysis of those values in relation to significant landscapes of the same kind within Australia, or without any cross-comparison of different categories of places and of individual sites within those categories on a national basis. The data base for these assessments was usually poor. Procedures used were either vague or only suggestive: the steps taken by the assessors were not clearly specified.” Fabos & McGregor Report, 1979. Fabos and McGregor found that 75% of the studies were based on poorly described procedures which appeared to be some sort of subjective elitist judgement or professional judgement. Of 24 Australian studies, only four attempted to develop or include a valuation procedure. Four studies bypassed valuation altogether. Many scenery assessments attempted to support subjective judgement by referring to some sort of ecological principle(s)… Only half the Australian studies provided sufficient methodological information to enable the study to be replicated by others. Only one third of the Australian studies adequately covered all significant factors or parameters. Most studies had low predictive capability. Level 1 General or policy level to provide an overall perspective at national and State levels; – e.g. the Visual Management System developed by the Forests Commission of Victoria. Level 2 Assessment of regional landscapes defining landscape types, quality classes, and protection alternatives; e.g. Hunter Region. Level 3 Site assessment and evaluation of significant landscape features; e.g. Uluru. This level of concern should be the prelude to all the level 2 activities (regions) which are undertaken by the AHC at present. That is, the first sifting of nominations should be an analysis of the place in relation to the level one assessment. Its significance in regard to quality, uniqueness and other pertinent parameters (at level 2) should be assessed within the context of the National Estate. Nearly 40 years later (2017), neither the Commission nor its successors have attempted to identify significant landscapes from the national viewpoint. Maud McBriar who spearheaded South Australian nominations through the National Trust, believed the conclusion influenced the Australian Heritage Commission not to accept landscapes nominated for the Registrar of the National Estate until a basis of assessment by professionals is found by which evaluations can be defensible in a court of law. (Lothian, 1984). According to a Commission source, the Commission considered the report not very helpful as it would require a greater scale of resource input than was available (Dr. W. Nicholls A.H.C., pers. comm., quoted in Lothian, 1984). The approach adopted by the Commission and later the Department of the Environment, Water, Heritage and the Arts to assess the aesthetic values of landscapes has been directed by statutory criteria. Criterion E states that the aesthetic value must be valued by a community or cultural group. The Commonwealth considers that quantitative expert assessment would not satisfy the criteria unless clearly validated by the community. However the wording could cover the entire community as well as distinct groups within it. The approach uses both quantitative and qualitative methods drawing on a range of sources of value appreciation to establish its strength. While expert opinion may be included, it must include community value. The national heritage list requires sound evidence of the value. In 2001 the Australian Heritage Commission initiated the Inspirational Landscapes project to understand the qualities of outstanding natural landscapes that have inspired Australians, and thereby better assess their national heritage value. The concept was considered a suitable theme for national heritage recognition but a method was required to provide clear and repeatable results, measurable values that could meet thresholds, and be defensible in court (Johnston & Ramsay, 2006). Inspirational landscapes were defined as places associated with positive and inspiring aesthetic or cultural perceptions of a place and experiences derived from a place. They may be discrete sections of the environment or vast expanses of landscape. Inspiration may result in art, literature, film, song, photography; conserving and fighting for landscape protection; scientific study; and bushwalking and recreation. To trial the indicator approach, a further study was commissioned. A list of 29 potentially inspirational landscapes was compiled that ranged in size from Antarctica, the Murray Darling Basin, and Simpson Desert to Encounter Bay (SA), Sydney Harbour, and the Royal Melbourne Botanic Garden. From this list, five places were selected as example landscapes: Great Barrier Reef, Simpson Desert, the Australian Alps, Twelve Apostles and Wilpena Pound. Again the selection of these is characterized by their randomness. The eight indicators were used to describe the inspirational values and the places were assessed against the national heritage criteria. The indicators are being applied to guide the selection and assessment of inspirational landscapes. The project is notable as the first national project to identify significant landscapes suitable for listing nationally. However the indicators of Inspirational landscapes lie outside the mainstream of features covered in landscape quality studies. The choice of the inspirational landscapes concept is somewhat curious and rather narrow in terms of aesthetic response to landscapes. Evocative, outstanding, symbolic, intrinsic, restorative, a sense of place or simply high quality landscapes are possible alternative conceptual approaches. The Commission has tended to avoid the quantitative survey approach to visual aesthetics, preferring the experiential approach and a rather ad hoc identification of significant areas. It is worth reiterating the 1979 recommendation of Fabos and McGregor that the Australian Heritage Commission (and its successors) take a national approach to the identification of areas achieving national significance. A comprehensive structured approach is long overdue to identify areas of significant landscape value for inclusion in the National Heritage List and even the World Heritage list. 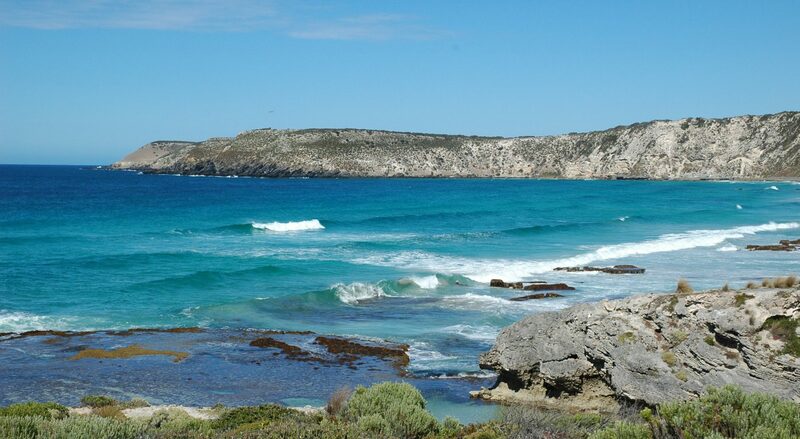 In a left-field initiative, in 2005, Tourism Australia and Parks Australia partnered to designate superlative areas which provide distinctively Australian natural and cultural experiences as National Landscapes. The areas transcend State and regional boundaries and are major attractions for domestic and international visitors. The areas have or are proposed to have sustainable management arrangements, may provide iconic imagery and a capacity to cater for visitors without detrimental impact. They would provide the basis for international tourism promotion. A National Landscapes Reference Committee was established comprising Government, tourism, ecotourism, academic and conservation interests. The US Forest Service developed the Visual Management System between 1968 and 1974. In 1968, the landscape architect, R. Burton Litton, Jr. produced for the US Forest Service, Forest Landscape Description and Inventories, A basis for land planning and design. This was used to measure scenic quality from the forest’s physical attributes. In 1974, the Service published Visual Management System: National Forest Landscape Management. In 1995, the USFS replaced the VMS with a Scenery Management System which better integrated aesthetics with other biological, physical and social aspects in forest planning (see Landscape Aesthetics, A Handbook for Scenery Management). In 1977, the Victorian Forests Commission engaged three landscape architects from the United States Forest Service including Dennis Williamson to establish a visual management system (Williamson & Calder, 1979). They quickly realized that the US Visual Management System would require “some significant changes” to meet Victoria’s needs. The primary components remained the same but adjustments were made to accommodate Victoria’s physical and social conditions. Figure 5 summarizes the components and the relationships in the Victorian VMS. Basic to the VMS was the delineation of landscape character types for Victoria. Nine types were defined covering the various regions – e.g. Murray Basin plains, eastern Highlands, Grampians. The areas were defined from an inventory of the landforms, land cover, waterforms and land use (Forests Commission, 1978; Leonard & Hammond, 1984). Scenic quality classes (high, moderate, low) were based on the characteristics present in each landscape character region. Frames of reference were defined, describing the characteristics of the landforms, vegetation and waterforms present in each and assigning these to the scenic quality classes. Vegetative mixture and edge diversity in coniferous plantations. This selection was astute and was based on ten landscape preference studies between 1969 and 1976. Interestingly, although swamps were included in the high quality category, later studies (e.g. Herzog, 1985) determined that they were of lower scenic quality. Following definition of the frames of reference, 40 foresters were trained in their use and, through interpreting aerial photographs and field checks, applied the frames to all forest areas in Victoria. The three scenic quality classes were delineated within each landscape character type. Resulting from the combination of scenic quality classes, observation distance zones and public sensitivity levels, visual quality objectives were established representing the degree of acceptability of changes in the landscape. Three classes of visual quality objectives were defined: the awkwardly named Inevident Alteration, Apparent Alteration, and Dominant Alteration. Each defined the scale and permanence of any proposed changes to the landscape (Figure 6). The most restrictive, Inevident Alteration, allowed only temporary changes – up to one year. Apparent Alteration allowed changes up to two years in duration, and Dominant Alteration allowed major changes to the landscape but required them to relate to the form, line, color and texture of the surrounding landscape. The degree of changes permitted was related to the scenic quality classes – in high quality areas, restrictions applied to the foreground, middleground and background, and to areas with sensitivity levels of high, moderate and low. The visual quality objectives were used in more specific guidance at the project application level. In 1979, the Forests Commission sponsored research on perceptions of forest scenic quality, using the Ovens Valley – Mt Buffalo area of north-east Victoria as the study area (Williamson & Chalmers, 1979). The study, one of the earliest preference studies in Australia, established that high scenic quality was associated with naturalness, water and variety in landform and vegetation. It concluded that the VMS accurately reflected public perceptions but placed insufficient emphasis on naturalness, and too much on visual variety. For the first time in Australia, the assumptions underlying expert assessments were tested and refined through empirical research. The VMS has now ceased to operate in Victoria due to a Government decision. The Tasmanian Visual Management System (Figure 7) has many similarities with the Victorian system (Figure 5). Both follow a similar process of inventorying the landscape and social interactions, classifying scenic quality classes and sensitive areas, and then identifying recommended landscape management objectives. By 1990, the Commission had developed their visual management system sufficiently to issue a 200-page Manual for Forest Landscape Management (Forestry Commission, Tasmania, 1990). The manual was republished in 2006 (Forest Practice Authority, 2006). The Tasmanian VMS remains in operation. It is worth noting that the 1997 Tasmanian State of the Environment Report had identified the need for a comprehensive survey of the State’s landscape quality, a situation which the 2003 report found remained unmet. The VMS clearly was not regarded as a substitute for a survey of landscape quality. The Regional Forest Agreement (RFA) process was a major stimulus to environmental studies of forested areas, including of aesthetic values. Following conflicts and disputes over native forestry in several States in the late 1980s and early 1990s, the Commonwealth and States signed the National Forest Policy Statement in 1992 which aimed to integrate environmental, social and commercial objectives to ensure sustainable forest management for all forest uses. Deriving from the Statement, ten Regional Forest Agreements were prepared between 1993 and 2000 as 20 year plans covering each of the native forest regions in NSW, Victoria, Tasmania and Western Australia where commercial timber production was a major use. A Comprehensive Regional Assessment was completed for South East Queensland but a RFA was not signed. Each RFA involved developing guidelines, tasks and responsibilities for sustainable forest management. A key part of their development was the preparation of scientifically based Comprehensive Regional Assessments (CRAs) covering the environmental, heritage, social and economic uses and values of the forests and involving extensive community consultation and contributions. As part of the CRA, National Estate values were assessed along with other values for each region. Aesthetic values were only one of 14 National Estate values that were assessed. Aesthetic value is the response derived from the experience of the environment or particular natural and cultural attributes within it. This response can be either to visual or non-visual elements and can embrace emotional response, sense of place, sound, smell and any other factors having a strong impact on human thoughts, feelings and attitudes. This broad definition, which reflected the criteria and philosophy of the AHC, implied an experiential approach to aesthetics that included the response to all the senses, not just visual. Table 11 summarises the years that the Regional Forest Agreements were finalized for each of the eleven regions. Assessments of aesthetic values were carried out for nine regions except for Eden (NSW) which examined the National Estate natural values but not aesthetic values. * Comprehensive Regional Assessment completed for SE Queensland but RFA not signed. The National Estate criterion for aesthetic values emphasized the importance of aesthetic places to a community or cultural group. For this reason, the method employed in the CRA’s to assess aesthetic values in each of the regions emphasized community input (Figure 8). Identifying places of potential aesthetic significance involved use of community workshops and cultural sources, as well as identification by experts familiar with forest environments, particularly foresters and national parks personnel described as “forest critics” (Table 12). Cultural sources included literature (novels, poetry, plays), music and songs, fine arts and film, historical photography and tourism images, crafts, applied landscape research, community perception studies and land data. In most of the regions, duplication of places occurred which assisted in identifying the significant places. The intention was to have aesthetic values identified and substantiated by different sources as well as the community. Thresholds were set to determine whether the nominations met the National Estate criterion. Due probably to the evolutionary nature of the entire CRA process, the thresholds varied from region to region. Five different sets of threshold criteria were defined (Table 13). In the Central Highlands (1994) and East Gippsland (1997) the criteria for aesthetic attributes of the places were: stronger than other places, identified from a range of sources, evaluated by expert technique, the type of place was rare in the region or of an uncommon value within the landscape character type, and the place had clear form, prominence or was of symbolic importance. Tasmania (1997) identified the places at community workshops which were assessed as significant through social values study, and/or identified by the community and identified as significant in cultural project and by foresters. South East Queensland (1998) adopted Tasmania’s thresholds and added the ability to map the places, and that they had integrity of aesthetic value from their earliest depiction. South West Western Australia (1998) based thresholds on three datasets: a review of tourism literature, foresters, and a social values study. In North East NSW (1999) and southern NSW (2000) the places were identified by forest staff and the community, there was good locational data and the places had geographic spread, the sites were on the National Estate Register, and the number of sites was manageable given limited resources. North East Victoria (1999), Gippsland (2000) and west Victoria (2000) each followed an identical three stage process to thresholds: Step 1 Places were identified by workshops of the community and foresters; Step 2 Information on the places was reviewed, field reconnaissance carried out, remoteness considered and secondary sources examined; Step 3 Places were strongly identified by primary community sources or supported by foresters, remote places were strongly identified of high value and supported by other sources or experts. The entire process took over seven years and provided 20 year plans with reviews every five years. While in theory, this provides an opportunity to make good any gross deficiencies, the experience in NSW and Victoria has been that they provide carte blanche to the logging industry without proper reviews. The aesthetic values were assessed in an experiential manner – the experiences obtained by the community through its interaction with the landscape (Ramsay, 1999). The qualities considered in assessing aesthetic value included: abstract qualities, evocative responses, meanings, landmark quality, and landscape integrity (Ramsay, 1993). Obtaining results which were consistent was a challenge. The derivation of nominations varied widely from region to region, some being very thorough, others somewhat cursory. Input by the community, by foresters, and a review of cultural sources, were all core requirements and met by most but not all regions. The reports of several assessments stated that many other potentially significant aesthetic places were probably present in the regions. The definition of thresholds to determine eligibility for National Estate consideration was critical and it is of concern that there was so much variation across the regions. Places that made the grade in one region may have been excluded from another region. Factors such as the ability to map the places, good geographic spread of places, and the manageability of the number of sites are of doubtful relevance for inclusion. As the number of places per region may include duplicates it is difficult to identify the number of unique sites. However the large reduction from places identified to places nominated following consideration of thresholds was striking. Overall only about 17% of places identified were subsequently nominated; in some regions the reduction was much more drastic, e.g. in Gippsland less than 5% of places were nominated. Given that most of these places were considered aesthetically significant by communities, foresters and from surveys of cultural material, the large reduction to meet National Estate thresholds is of concern. It puts into question the validity of the thresholds themselves. The National Estate definitions denoted the term places as significant. The use of this term has its origins in the Burra Charter which was adopted in 1979 (last revision, 1999) to guide the conservation and management of places of cultural heritage significance. Places of cultural significance are defined by the Charter to mean site, area, landscape, building … and may include components, contents, spaces and views. Cultural significance includes aesthetic significance for past, present or future generations. Although the use of the term places could denote a definable locality of limited extent, the term has been used far more flexibly and has been applied to extensive areas such as the Snowy River or Cradle Mountain – St Clair National Park. It has also been applied to specific localities – lookouts, waterfalls, mountains, rock formations and walking tracks. It is noteworthy in this context that some heritage authorities have detected a trend internationally away from individual site or place management in isolation, towards landscape and regional conservation planning and management processes… (Lennon, 2000). Such a trend would fit more closely with the concept of a continuum of landscape quality, from low to high, with thresholds of significance determined by the level but not treated in isolation of their context. Overall, the RFA process integrated aesthetic considerations with other factors in determining the management of forested areas. The use of cultural sources including art and literature provided an alternative to preference-based surveys in determining aesthetic values. Half the studies of landscape quality, a total of 42 studies, were judged to have been initiated to address environmental management issues, particularly to provide input to planning policies. Over three quarters of these were physical studies and only eight were preferences studies, including five by this author. The methodologies employed are reviewed below (Click on: Preference Studies, Physical Studies). State branches of the National Trust commissioned some of the earlier studies. Most of the subsequent studies were conducted by consultants for clients or by planners for planning authorities. Outputs from these studies included maps of scenic quality, policies for planning and management plans, guidelines for development control and landscape improvement programs. In this category of landscape quality studies are dissertations prepared in various universities across Australia and studies by academics. Theses on scenic quality are summarized in Table 14. Ian Bishop of the University of Melbourne modeled the perception of objects such as transmission towers in the landscape and undertaken complex modeling of landscape perception (Bishop et al, 1985; Hull & Bishop, 1988; Bishop et al, 1990; Bishop & Hull, 1991; Bishop, 1995; Bishop et al, 2000). Brian Hudson of the School of Planning, Landscape Architecture & Surveying, Queensland University of Technology researched Appelton’s Prospect – Refuge theory (1975) and the role that waterfalls play in landscape and culture (Hudson, 1992; Hudson, 1993; Hudson, 2000). Terrence Purcell and Richard Lamb of the Faculty of Architecture, Design and Planning at the University of Sydney collaborated in extensive research over several decades focusing on landscape perception and landscape preferences (Lamb & Purcell, 1982; Lamb & Purcell, 1990; Purcell, 1987; Purcell, 1992; Purcell & Lamb, 1993, Purcell et al, 1994, Purcell & Lamb, 1998). Australian Council of National Trusts, 1979. Landscape Conference: assessment of visual/aesthetic landscape qualities, Beaumont House, South Australia, 25-26 May, 1979, Adelaide. Bishop, I.D. & R.B. Hull, 1991. Integrating technologies for visual resource management. Jnl . Env. Mgt, 32, 295-312. Bishop, I.D., R.B. Hull & P.N.A. Leahy, 1985. Visual simulation and assessment of electricity transmission towers, Landscape Australia, 7, 191 – 199. Bishop, I.D., P. Dartnell, S. Davie, J. Drew, T. McDonald & P. Swan, 1990. Object, environment and observer related variables in the visual effect of electricity transmission structures, Landscape Australia, 1, 23 – 30. Bishop, I.D., 1995. Comparing regression and neural net based approaches to modeling of scenic beauty. Landscape and Urban Plg., 34, 125 – 134. Committee of Inquiry into the National Estate, 1974. Report of the National Estate, AGPS, Canberra. Environment Australia, 1997. East Gippsland: National Estate Report. Canberra. Fabos, J.G. & A. McGregor, 1979. A Position Paper and Review of Methods for Assessment of Visual/Aesthetic Landscape Qualities. Report to the Australian Heritage Commission. Centre for Environmental Studies, University of Melbourne. Forestry Commission, Tasmania. 1983. The Forest Landscape, Visual Management System. Bulletin No. 9, Hobart. Harding, C., Jarman, A., Eddy, R. and Nolan, M., nd (1987? ), An aesthetic evaluation of Stage 2 of Kakadu National Park: a comparison with the Top End and the North Western Woodlands Biogeographic Provinces, In Kakadu Stage 2. A Preliminary Assessment with Particular Reference to the Operational Guidelines for the Implementation of the World Heritage Convention. Conservation Commission of Northern Territory. Darwin. Hepper, J., 1984. Future directions for landscape assessment planning in Tasmania. Herzog, T.R., 1985. A cognitive analysis of preference for waterscapes, Jnl. Environmental Psychology, 5, 225 – 241. Hudson, B.J., 1992. Hunting or a sheltered life: prospects and refuges reviewed. Landscape and Urban Planning, 22. 53 – 57. Hudson, B., 1993, The view from the verandah: prospect, refuge and leisure. Aust Geog Studies, 31:1, 70 – 78. Hudson, B., 2000. The Experience of Waterfalls, Aust Geog Studies, 38:1, 71 – 84. Hull, R.B. IV, and Bishop, I.D., 1988, Scenic impacts of electricity transmission towers: the influence of landscape type and observer distance. Jnl Env. Mgt, 27, 99-108. Johnston, C. and Ramsay, J. 2006. Dramatic, mysterious, contemplative and scary: seeking an understanding of the inspirational value of our mountain landscapes. Historic Environment, 18:2, 16 – 21. Joint Commonwealth – Western Australia Steering Committee, 1998. Western Australia Comprehensive Regional Assessment National Estate Aesthetic Value Identification and Assessment Project Visual Assessment. Canberra. Joint Commonwealth and Victorian RFA Steering Committee, 1999. National Estate Identification and Assessment in the North East Region of Victoria. Environment Australia, Canberra. Joint Commonwealth and Victorian RFA Steering Committee, 2000. National Estate Identification and Assessment in the Gippsland Region of Victoria. Environment Australia, Canberra. Joint Commonwealth and Victorian RFA Steering Committee, 2000. National Estate Identification and Assessment in the West Region of Victoria. Environment Australia, Canberra. Lamb, R.J. & Purcell, A.T., 1982. A Landscape Perception Study of the Peninsula Area of Warringah Shire: Implications for Planning Controls, Building Regulations and other Areas of Council Activities. Dept of Architecture, University of Sydney, Sydney. Lamb, R.J. & Purcell, A.T., 1990. Perception of naturalness in landscape and its relationship to vegetation structure. Landscape and Urban Planning, 19, 333 – 352. Leonard, M. & R. Hammond, 1984. Landscape Character Types of Victoria with frames of reference for scenic quality assessment. Forests Commission, Victoria. New South Wales Region Forest Agreement Steering Committee, 2000. Identification, Assessment and Protection of National Estate Values, Southern NSW CRA Region. Environment Australia, Canberra. O’Brien, M & J. Ramsay, 1992 Assessing Aesthetic Values of Landscape for the Register of the National Estate, A Discussion Paper. AHC. Prineas, T., and Allen, P.J., 1992. Queensland’s wet tropics World Heritage Area. Mapping the scenic quality. Landscape Australia, 3, 241 – 246. Purcell, A.T. & Lamb, R. J., 1984. Landscape perception: an examination and empirical investigation of two central issues in the area. Jnl Environmental Management, 19, 31-63. Purcell, A.T., 1987. Landscape perception, preference, and schema discrepancy, Environment & Planning B: Planning & Design, 14, 67 – 92. Purcell, A.T., 1992. Abstract and specific physical attributes and the experience of landscape, Jnl of Environmental Management, 34, 159 – 177. Purcell, A.T., Lamb, R.J., Mainardi Peron E. & Fachero, S., 1994. Preference or preferences for landscape? Jnl Environmental Psychology, 14, 195 – 209. Purcell, A.T., & Lamb, R.J., 1998. Preference and naturalness: an ecological approach. Landscape and Urban Planning, 42, 57 – 66. Ramsay, J. & J. Paraskevopoulos, 1994. More than meets the eye: Identifying and assessing aesthetic value. Aesthetic Value Workshop, 27 Oct 1993, Melbourne. Australian Heritage Commission. Williamson D.N. & Calder, S.W., 1979. Visual resource management of Victoria’s forests: a new concept for Australia. Landscape Planning, 6, 313 – 341. Williamson, D.N. & Chalmers J.A., 1979. A study of public perceptions of forest scenic quality in Bright, Victoria. Unpub. report. Landscape Management Section, Forests Commission Victoria, Melbourne.